Anthony is planning to Redshirt the 2011-12. 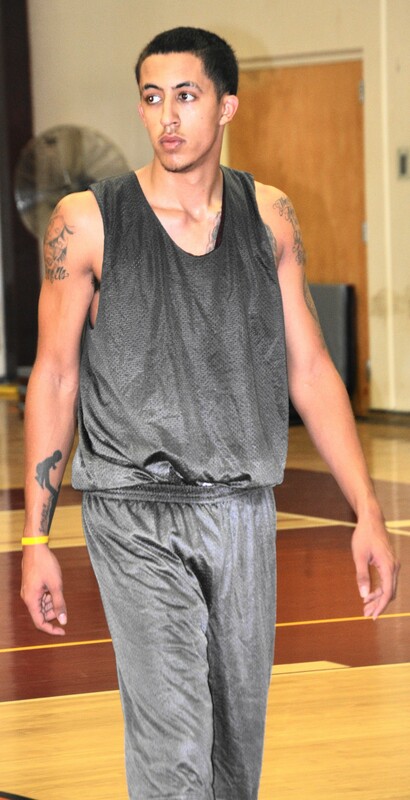 Anthony Day, 6’3”, 190 guard, is a local player from Desert High School. Anthony played at DeAnza College in northern California last year and decided that he would give the elite program at Antelope Valley College a shot. Anthony has fit in well with the current AVC team and if he works hard academically, in the weight room, and at basketball practice, he has a chance of reaching his goal of a university scholarship. Anthony has a great outside shot and with his size and athleticism he is a tough character in the paint. Latest information is that Anthony will require knee surgery this fall and will spend the next year on a injury red-shirt doing rehab and getting his academics together.